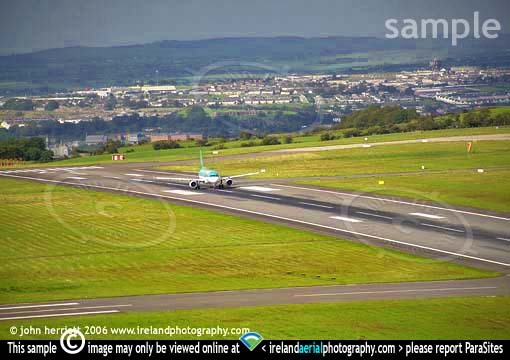 Aerial view of Aer Lingus Airbus ready for take off on runway 17 at Cork Airport. Aerial photography of an Airbus ready for departure on runway 17 at Cork Airport. This Aer Lingus jet was set to roll just as soon as we got far enough away from its flightline. Cork city is clearly visible in the background.